With the rise of interest in the Hearables market, more and more people are paying attention to what’s happening with hearing technology. 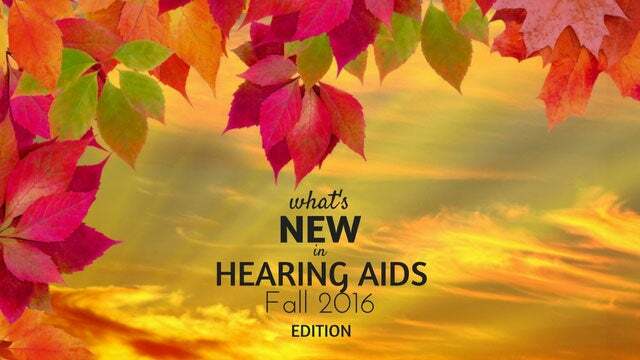 If you missed our Spring 2016 hearing aid update, be sure to check it out…it was a big one. 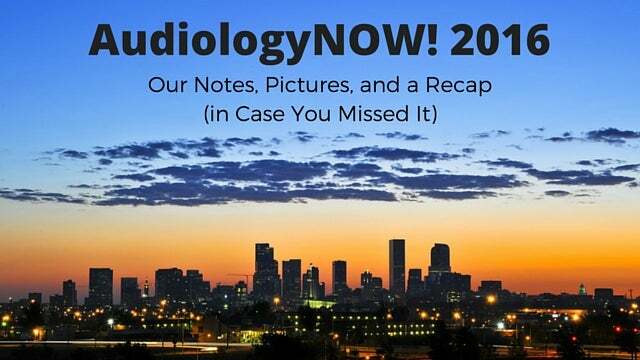 It’s now time for a new edition of what’s happening in the world of hearing devices. This has been a huge year for Oticon, with the May launch of their new Opn hearing device which gives listeners access to important speech sounds all around them without the interfering noise. 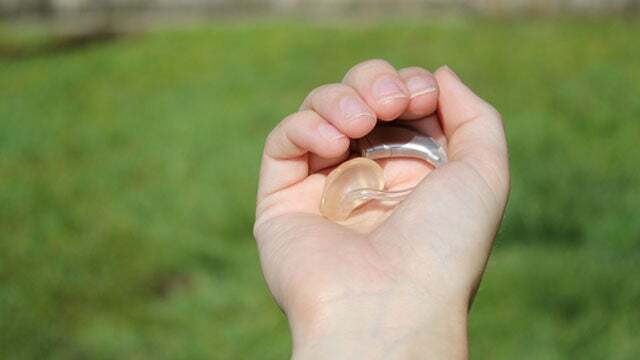 It is also the first ever dual-wireless hearing aid, called Twinlink technology, which allows two wireless communication systems within one hearing aid to preserve binaural processing and direct bluetooth connectivity. If you missed it, be sure to check out the details of Oticon’s new Opn hearing aid here at our Spring hearing aid update. This Fall, Oticon will be expanding their line of devices on their new Velox platform which powers the Opn device. We will see more hearing aid power and performance levels on Oticon’s new Velox platform, providing a hearing solution for more severe hearing loss and for every budget. Find out more about Oticon’s Velox platform here. It automatically detects your surroundings and switches to the best possible setting. Their new Audeo B-R device features the first built in lithium-ion battery technology that is said to hold a charge for 24 hours. Find out more about Phonak’s rechargeable technology here. Also on Phonak’s Belong platform is a new CROS B hearing device for those with single-sided deafness. This is an update from Phonak’s previous CROS solutions. Find out more about Phonak’s new CROS B technology here. While Unitron is not one of the Big 6 manufacturers, they are owned by Sonova (owner of Phonak) so we thought we’d mention their new device this Fall. They are boasting the world’s smallest wireless RIC hearing aid in their Moxi line, called the Moxi Fit. ReSound has expanded their line of Smart LiNX2 devices with the first mini behind-the-ear (BTE) hearing aid that is both Made for iPhone and has a telecoil. Find out more about ReSound’s Smart Hearing technology here. The Cellion Primax is a receiver-in-the-canal (RIC) device. It is inductive, wireless, and contact free and is said to provide a 24-hour operating time, even when streaming. Find out more about Signia’s Cellion Primax rechargeable technology here. Signia has also introduced Signia TeleCare, a way for patient and provider to stay in contact during the initial hearing aid adjustment period through CareChat and instant feedback reporting. The patient can get support while they get used to their devices and the hearing healthcare provider will be able to help the transition go smoothly for the patient. Find out more about Signia’s TeleCare system here. Find out more about Starkey’s Muse hearing aids here. Widex had a big Fall 2015 launch of the UNIQUE products and are back with more this Fall with the introduction of their Beyond hearing aid. With the Beyond, they are the fourth manufacturer now to introduce their own version of a Made for iPhone hearing aid….joining Starkey, ReSound, and Oticon. What’s unique about the Beyond is that it has added direct bluetooth compatibility on top of their already used Widex Link compatibility. This means that the users with an iPhone are able to connect directly without the use of an intermediary for audio streaming, but they can still also use their Dex wireless accessories for other connectivity options, such as TV streaming, or non-iPhone streaming. The Beyond hearing aid is available in their Fusion receiver-in-the-canal (RIC) style. 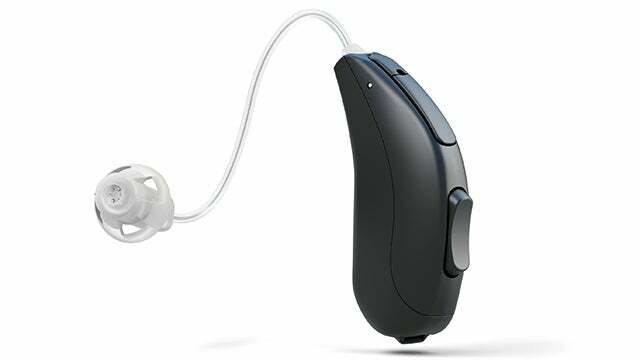 It also has a telecoil, essentially making it the first hearing aid with 3 methods of wireless connectivity in one. This is preliminary information on Widex’s new Beyond device, so be sure to check back shortly for more details. We are looking forward to learning more about this technology. That’s it (so far) for Fall 2016. We’ll be updating this through winter, and then back for more in Spring 2017. I currently use a Starkey 1st generation 2012 but as you can imagine these are very old and I struggle to hear. I work in an office environment and whether in conference room meetings or during office one-on-one sessions it’s difficult for me to capture all that is said. Additionally, English is my second language therefore I’d like to make sure the device helps focusing on clear reception. I’m looking for an ICC type of hearing aid and am curious which brand you would recommend. I read in your Spring edition that in March/May companies typically roll out upgrades or new devices. If you have any insight into this I have no issue waiting a few months for the best option. Hi Lisa. I’m not sure what you mean by an ICC hearing aid. Do you mean IIC? Apologies, yes – Invisible In the Canal. Hello, to clarify I’m looking for an Invisible hearing aid. Hello I am looking for iic rechargeable battery device. As far as I know there are no IIC rechargeable devices. IICs utilize size 10 batteries which are not available as rechargeable.